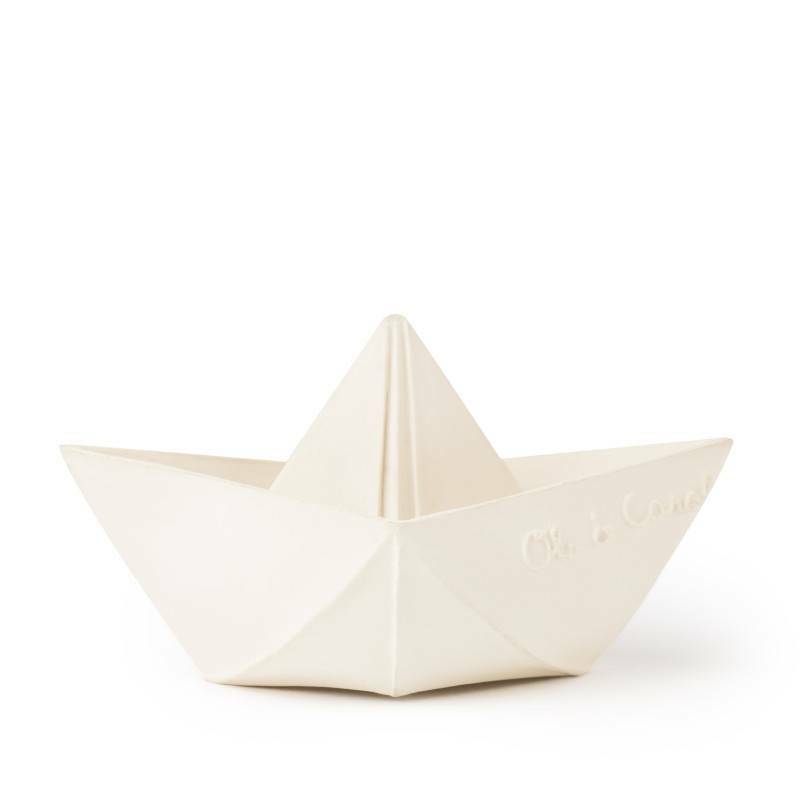 Your little one will love playing with this adorable origami boat in the bath. 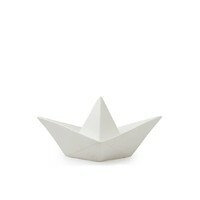 It stays afloat beautifully and is made of 100% natural latex from Hevea trees and measures 3.5 inches. 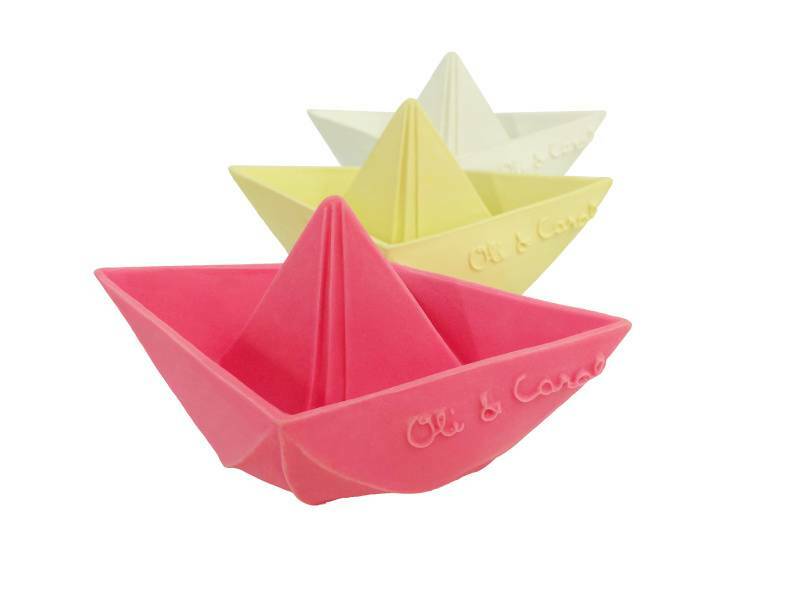 Each boat is hand-painted with food grade, non-toxic dyes. 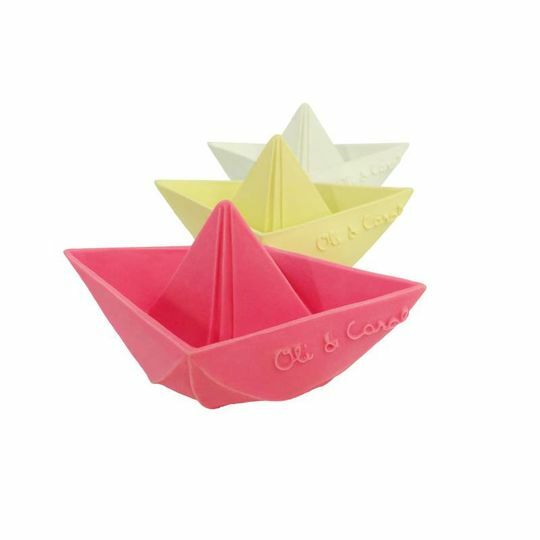 It is completely safe for your baby to chew on. 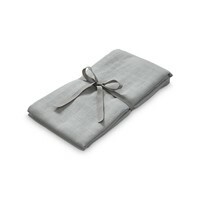 Care instructions: to clean, simply wipe the toy with soapy water and a damp cloth. Store in a dry place. Do not leave in direct contact with the sunlight for long periods of time.